Bohemian Rhapsody is a 2018 biopic about Freddie Mercury directed by Bryan Singer and starring Rami Malek as the Queen frontman. The film charts the progress of Queen and Mercury's life up to their legendary performance at Live Aid in 1985. 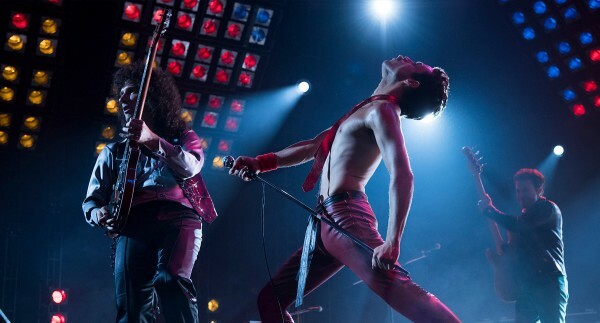 There are many things to love about this film, not least that you get many of Queen's hits belted out at full volume throughout the runtime, including the entirity of the Live Aid performance, which for those of us unlucky enough to have been born after 1985 is the closest we'll ever come to actually being there. But the film is marred by a number of curious decisions to rewrite Queen's history. Most notably, a large portion of the film is given to Queen splitting up and Freddie attempting a solo career, which never happened. While Freddie did make two solo albums, he did not break up Queen to do so and other members of the band had also released solo projects during that time. This leads to an awkward scene where Freddie begs the rest of the band to reform. It gives the impression that Brian May and Roger Taylor, who were executive producers on the film, wanted to make themselves look more important and more influential in Queen's success. This is a bizarre decision, seeing as nobody is in doubt that they were anyway. Freddie Mercury is the most well-known out of the group, given he was the frontman and had an inimitable stage persona, but Brian May's guitar solos are just as famous and integral to Queen's hits and, though Taylor's drumming is perhaps not as well-recognised by the public, that is the drummer's curse and his performances have garnered praise from plenty of musicians and music critics. With other decisions that differ from reality, you can put it down to artistic license. Freddie Mercury was diagnosed with AIDS in 1987, two years after the band's Live Aid performance, so he could not have told them he was suffering from it before. However, this decision makes sense as the film can end on the positive note of the iconic gig, rather than a sombre account of Mercury's failing health. Looking past the historical inaccuracies, is the film actually any good? Bohemian Rhapsody briefly touches on a number of moments that defined Queen's career and Mercury's life, but does not explore them in any great detail. The film could really have been split in two; one film focusing more on Queen's rise to fame and the other, their change in direction, Freddie's health and the Live Aid performance. Or there could have been more focus on a few moments, the formation of the band, the recording of the eponymous track, the toxic relationship between Mercury and personal manager Paul Prenter and the Live Aid gig. 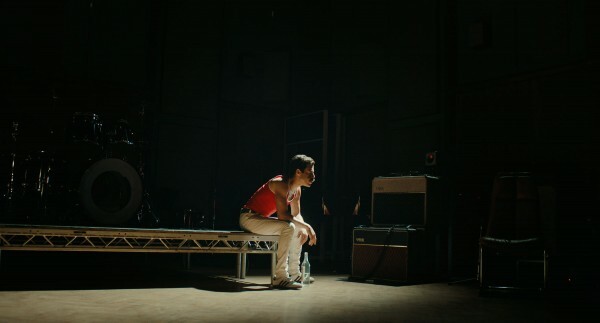 As it is, the film glosses over various moments that would have been more interesting to explore to repeat the same message: Freddie Mercury was a tortured genius. Rami Malek's performance as Freddie is fairly spot-on - to take on the role of a figure as beloved as Freddie Mercury and receive almost universal praise speaks volumes. However, the rest of the band are not particularly compelling. 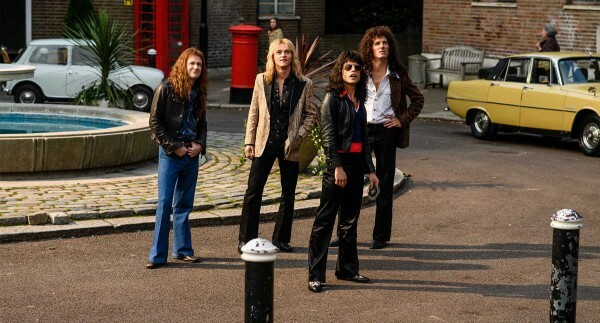 Granted, when stood next to Mercury, personalities may not shine through, but Brian May, Roger Taylor and John Deacon all suffer from being part of the set a lot of the time, rather than characters in the movie.